21 years, 5 months, 24 days old age. James TW will turn 22 on 27 October, 2019. Only 6 months, 6 days, 4 hours, 16 minutes has left for his next birthday. James TW has celebrated the total number of 21 birthdays till date. See the analysis by days count and bar graph. 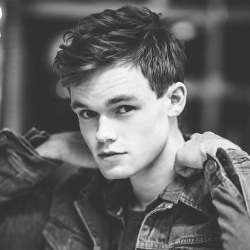 James TW was born on 27-10-1997 in Barford, Warwick, Warwickshire, United Kingdom. He is a British Singer, Songwriter & YouTube Star. Popularly known as James TW is a young British songwriter and singer "James Taylor-Watts". He went to the oldest school for boys Warwick School in England. His father was the first person to identify his talent and his first performance on stage was a mere accident when the drummer of the band fail to make to the evening when he was just 10 years old. He then started playing piano and guitar. He used to learn playing songs from the youtube video. He started his own channel on youtube at the age of 12 in 2010. He self-released an EP 'Just A Number' and worked well on the iTunes chart. Artist Shawn Mendes found him on social media and praised his work. He was later signed by Island Records. His debut song 'Black & Blue' was released in 2015. But he got fame with his next song with Universal music 'When You Love Someone'. Later his debut EP 'First Impressions' with his five original songs was released and was a huge hit. Recently he was on 'The Ellen DeGeneres Show' where he performed his song "When You Love Someone". In February 2017, his new song "Ex" was released. He is born to Richard Taylor-Watts (A hobby Guitarist) and Sarah Taylor-Watts.